From the Village to Vogue celebrates the recent gift to the Brooklyn Museum of a collection of twenty-one examples of the work of one of America’s foremost modernist jewelers of the twentieth century, Arthur George Smith. Presented together with this gift are thirty pieces of modernist jewelry by other artists from the Museum’s permanent collection. All of these jewelers were deeply indebted to the famous American sculptor Alexander Calder and his kinetic, abstract, biomorphic designs. Like Calder, they eschewed traditional materials such as gold, platinum, and precious stones in favor of lesser materials such as copper, brass, aluminum, silver, ceramics, glass, and hard stones. They championed the handmade, and because few of them were formally trained, they tended to develop their techniques by trial and error. Their jewelry was an ornamental interpretation of contemporary art that integrated an awareness of the human form and the notion of wearability. Smith’s jewelry in particular is characterized by asymmetry, biomorphicism, compelling linearity, and, above all, a keen awareness of female anatomy. He had a sculptor’s sensitivity to the human form and the power of negative space. Born to Jamaican parents in Cuba in 1917 and raised in Brooklyn, Smith showed artistic talent at an early age. Encouraged to apply to art school, he received a scholarship to Cooper Union for the Advancement of Science and Art. There he was one of only a handful of black students, and his advisors tried to steer him into architecture, suggesting he might readily find a job in the civil sector of that profession. He abandoned this path, however, and turned to commercial art and a major in sculpture, training that would prove invaluable when he became a jeweler. In 1947 he opened his first store, on Cornelia Street in Greenwich Village, then the bohemian center of New York City and a hotbed of modern art in general. Soon after, he moved to 140 West Fourth Street. By the mid-1950s Smith’s career was flourishing and he received feature pictorial coverage in both Harper’s Bazaar and Vogue. The jewelry by Smith on view here spans his entire career. Twenty pieces are made of silver, and one rare brooch is of gold. Because the artist usually worked in these relatively expensive materials only on commission, these designs are more widely known in copper and brass. Stylistically, they present a unified aesthetic; once Smith found his artistic voice, he exercised it with great imagination. As Smith had all of these pieces in his possession at the time of his death in 1982, they represent presumably the best and certainly the most costly examples of his work. The Museum is deeply indebted to Charles Russell, an intimate of the artist, for this generous donation. 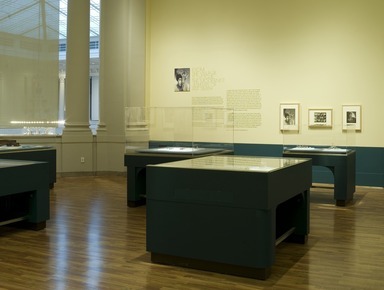 April 4, 2008 From the Village to Vogue: The Modernist Jewelry of Art Smith will honor the gift of twenty pieces of silver and gold jewelry created by the Brooklyn-born modernist jeweler Arthur Smith (1917–1982), primarily from Charles Russell, Smith’s companion and heir. 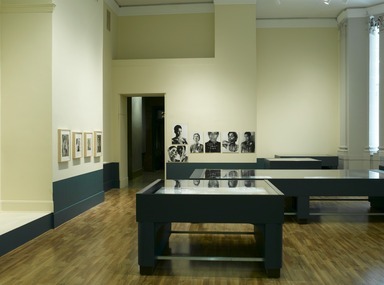 This small exhibition will be on view at the Brooklyn Museum from May 14, 2008 through May 17, 2009. The presentation of Art Smith jewelry will be enhanced by archival material from the artist’s estate, including his working tools, the original shop sign designed by Smith, period photographs of models wearing his jewelry, preparatory sketches, and account books. 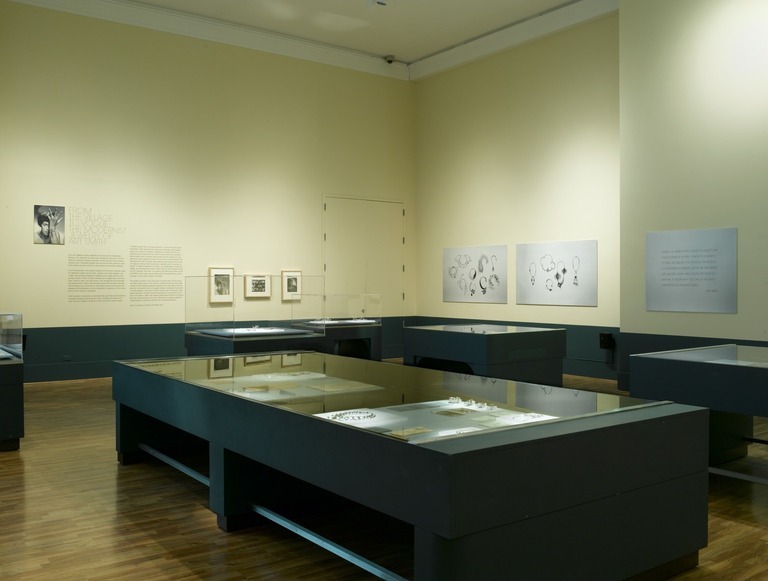 Presented along with Smith’s work are twenty-three pieces of modernist jewelry from the permanent collection by such artists as Elsa Freund, William Spratling, Frank Rebajes, Eva Eisler, Ed Weiner, Claire Falkenstein, Jung-Hoo Kim, and others. Inspired by surrealism, biomorphicism, and primitivism, Art Smith’s jewelry is dynamic in its size and form. Although sometimes massive in scale, his jewelry remains lightweight and wearable due to his awareness of the female form. 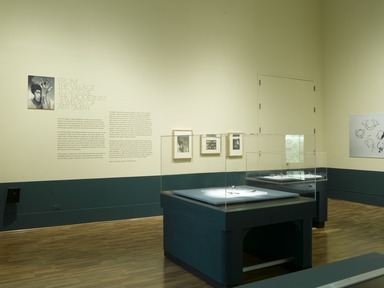 The jewelry dates from the late 1940s to the 1970s and includes his most famous pieces, such as a “Patina” necklace inspired by the mobiles of Alexander Calder; a “Lava” bracelet, or cuff, that extends over the entire lower arm in undulating and overlapping forms; and a massive ring with three semiprecious stones that stretches over three fingers. Trained at Cooper Union, Art Smith, an African American, opened his first shop on Cornelia Street in Greenwich Village in 1946. He later moved the business to 140 West Fourth Street, where it remained throughout his career. 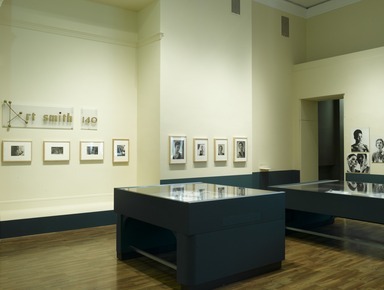 Not only one of the leading modernist jewelers of the mid-twentieth century, Smith was also an active supporter of black and gay civil rights, an avid jazz enthusiast, and a supporter of early black modern dance groups. This exhibition is organized by Barry Harwood, Curator of Decorative Arts, Brooklyn Museum. 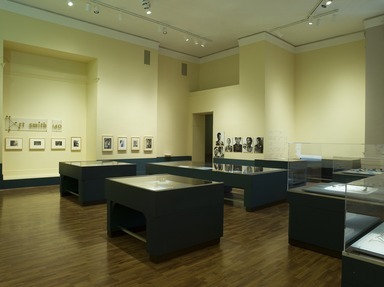 The exhibition is supported by the Harold S. Keller Fund with additional support from the Donald and Mary Oenslager Fund.